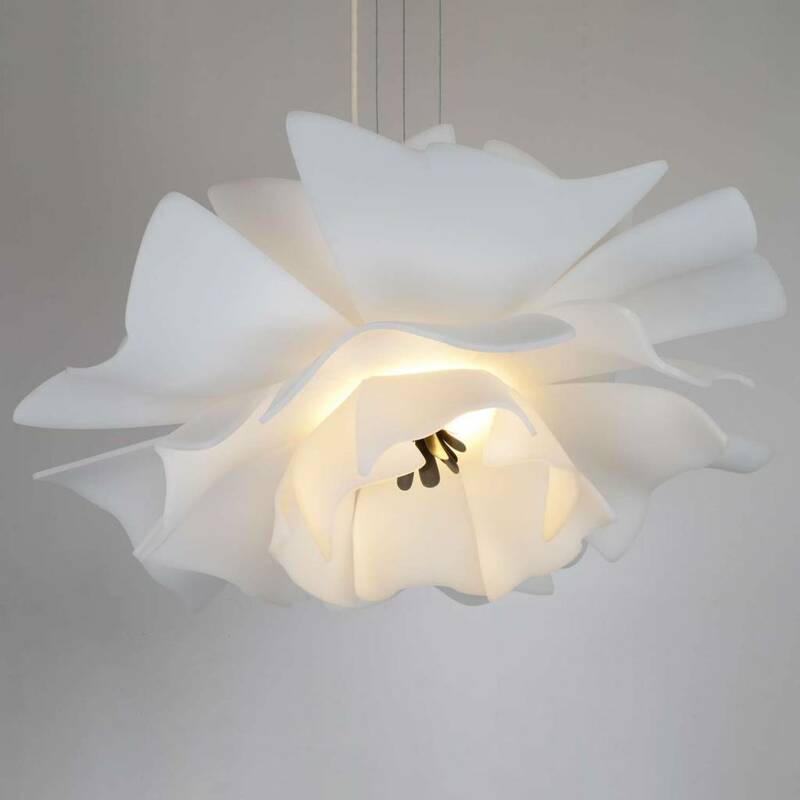 Artist Pascale Girardin and Brooklyn-based design studio, Juniper, have collaborated to design the Love Me Not, a light-filled pendant that draws from childhood memories of picking petals off of daisies. 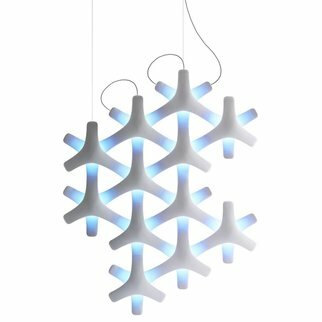 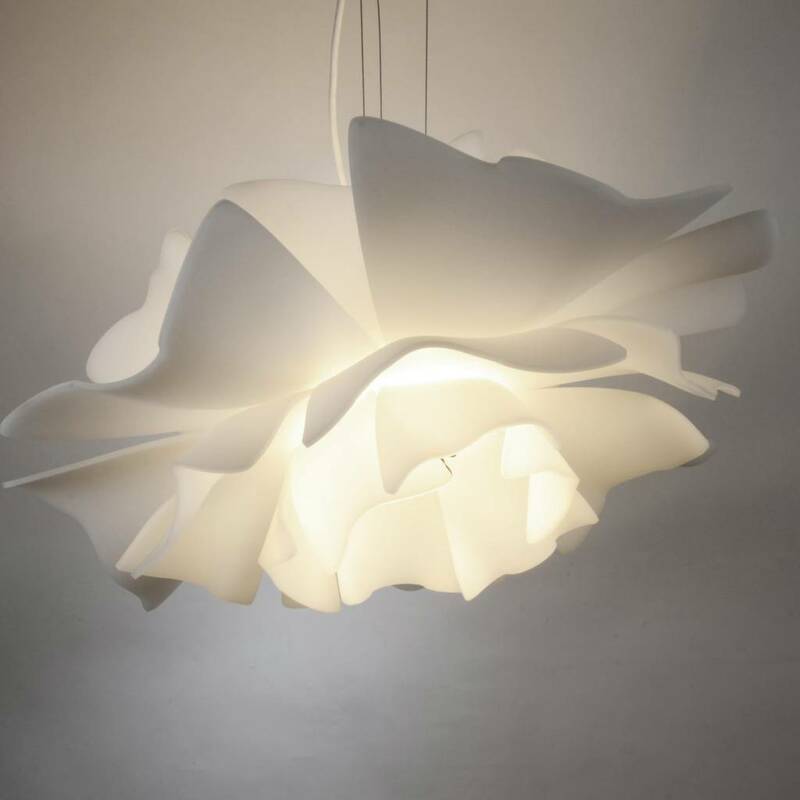 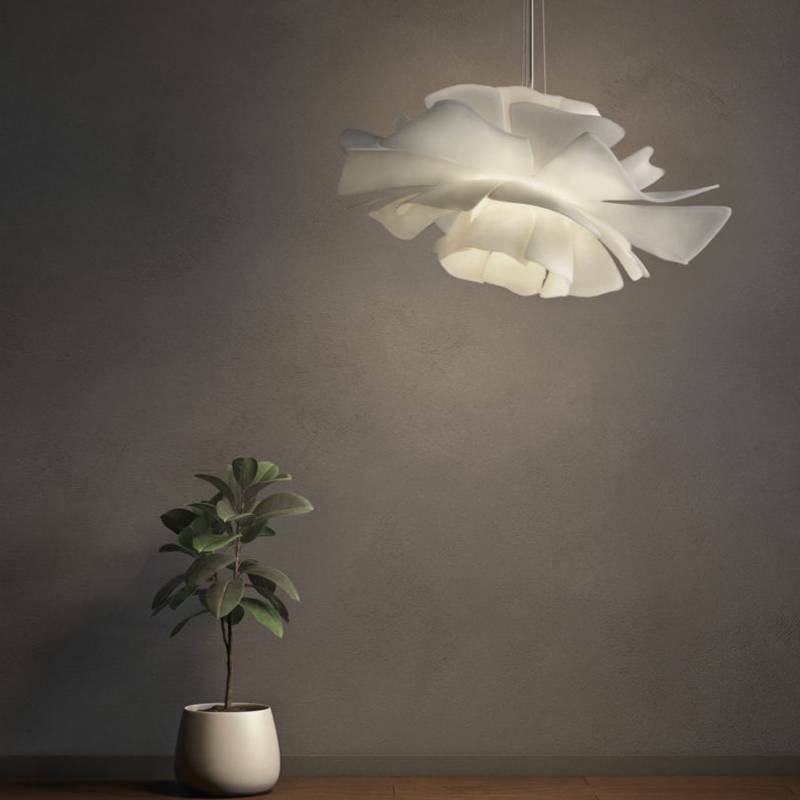 The pendant’s organic shape is crafted from five layers of hand-formed, porcelain-finish acrylic, so no two fixtures are identical. 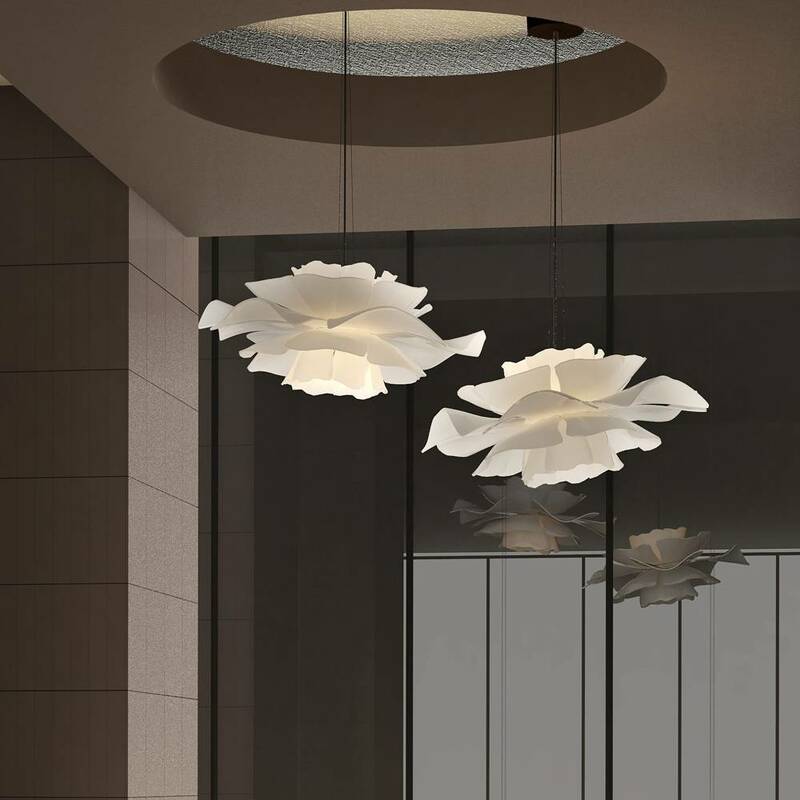 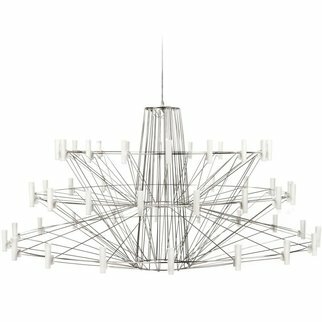 Suspended individually or in a cluster, Love Me Not (À La Folie) delivers a whimsical display of art and light. 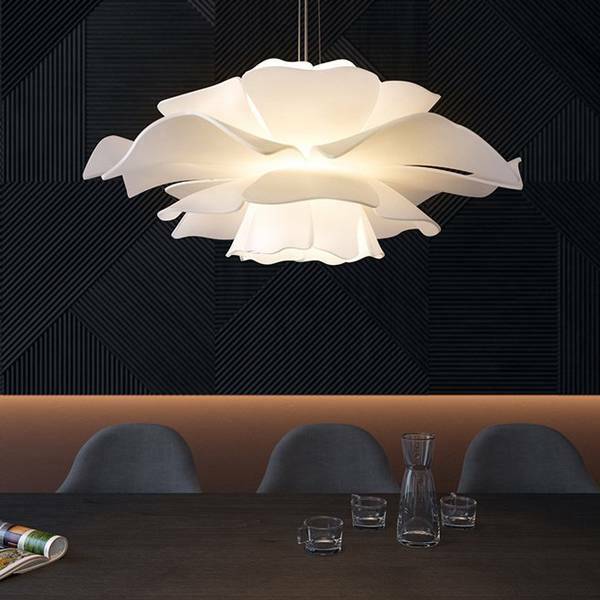 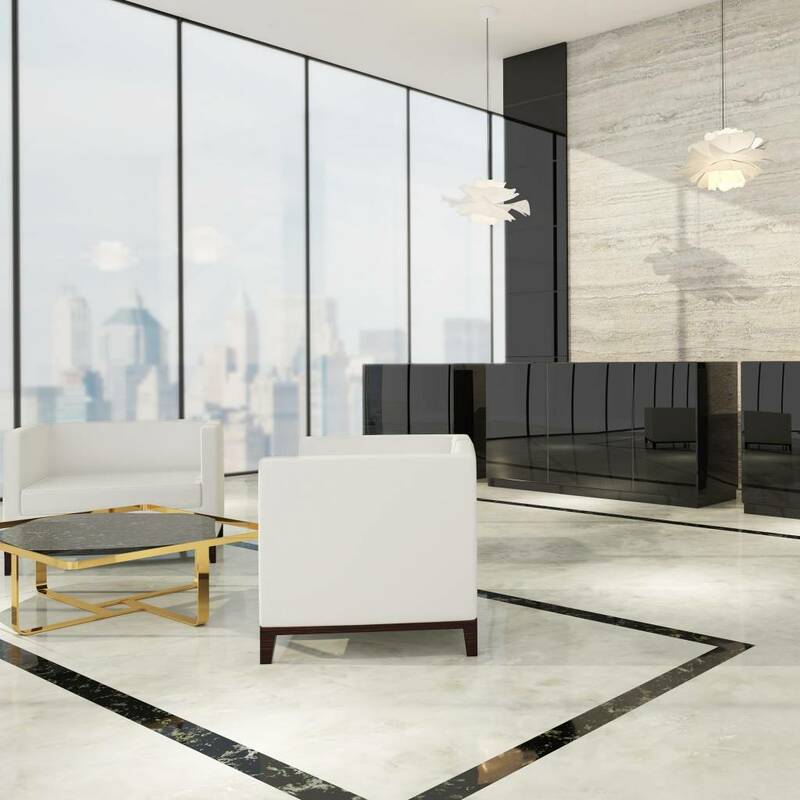 The porcelain-finish acrylic, developed by famed German manufacturer Evonik, offers a unique material that exemplifies the lasting quality of ceramic, while providing the optical performance required for a functional light pendant.